Heritage Hall in the Hekman Library on the campus of Calvin College in Grand Rapids, Michigan is the place to go for Christian Reformed Church in North America records and Dutch Migration records. The website is a treasure trove of information and may take a few minutes to acclimate yourself to it. Heritage Hall is open to the public for onsite research, but you will want to plan your visit. Their holding are vast. What will you find at Heritage Hall? Banner , a publication of the CRC, card file index for deaths, birthdays, and wedding anniversaries published from 1870-1999. Membership records from six closed CRC churches. Young Calvinist obituaries from 1941-1973. Emigrants from the Netherlands to North America, 1946-1963, mostly to Canada. Emigrants from Drenthe, Netherlands to West Michigan, 1845-1870. Heritage Hall Finding Aids will guide you to resources available at the library. A few simple searches led me to manuscript sources at Heritage Hall. Genealogy led me to 31 resources, many of them manuscript collections to explore further. Family History led me to 15 resources. Luijendijk, the dutch spelling, led me to 0 resources, but Luyendyk, the American spelling, led me 1 resource. Dutch in Michigan had 16 hits. Even though it states the number of resources or hits, these are manuscript collections and can contain many boxes and linear feet of resources. If you have Christian Reformed research to conduct while you are in Grand Rapids, Calvin College is the place to do it. Use the Hekman Library Catalog to find resources at Heritage Hall. The Archives of the Christian Reformed Church in North America, Hekman Library, Heritage Hall, Calvin College, 1855 Knollcrest Circle SE, Grand Rapids, MI 49546 (616) 526-7197. 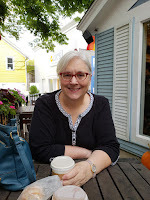 This is my ninth and final post on researching in Michigan, my home state. I tried to give you an overview of what is available when researching ancestors in Michigan. The eight posts on Pure Michigan Genealogy is in no way a complete list of everything in Michigan. That would take a book, and there is a good one-Michigan Genealogy, 2nd edition by Carol McGinnis. I could never top what she has written. If you think I could help you with your Michigan research, please email me or leave a comment. I hope you have enjoyed my Pure Michigan Genealogy as much as I have enjoyed sharing it with you. I have a few general comments about researching Michigan ancestors. Check in the area you are researching for local genealogical societies, historical societies and libraries. Put google to work for you! Many genealogical societies have an online presence and accept queries for their newsletter, some have volunteers to look up information. Historical societies know what is available and where to find it for their locality or can guide you where to go next. Many libraries have a local history section. Check the library's online catalog, if available. Tap into this valuable resource. Come to Michigan. Visit our state library and archives, all in one building. Roam our cemeteries, explore our courthouses, and check out our local libraries. After a day of rewarding research, Michigan has even more to offer. Beautiful sunsets, sandy beaches, clear blue lakes, historic islands, rocky cliffs, and great people are yours to explore in Pure Michigan! 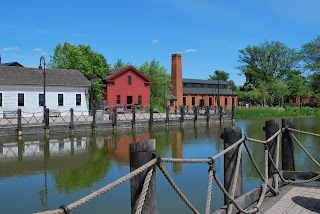 I used a variety of sources for the nine Pure Michigan Genealogy posts. A bibliography is listed here for your use. http://bentley.umich.edu/research/guides/religion/index.php : (accessed 1 May 2013 and no longer available online). DeBoer, Shirley, M, NGS Research in the States Series: Michigan, Arlington, Virginia: National Genealogical Society, 2008. Eichholz, Alice, Editor, Red Book, Provo, Utah: Ancestry, 2004.
http://net.lib.byu.edu/fslab/researchoutlines/US/Michigan.pdf: (accessed 26 April 2013 and no longer available online). Holick, Jennifer, Legacy QuickGuide Michigan Genealogy, Surprise, Arizona: Millenia Corportation, 2013. McGinnis, Carol, Michigan Genealogy: Sources and Resources, Baltimore, Maryland: Genealogical Publishing Co., Inc., 2005.
https://familysearch.org/learn/wiki/en/Michigan_Land_and_Property: (accessed 1 Mar 2018). "Scandinavian Immigration", Harvard University Library, Immigration to the United States, 1789-1930.
http://ocp.hul.harvard.edu/immigration/scandinavian.html: (accessed 1 March 2018). https://pubs.usgs.gov/fs/2002/0099/report.pdf: (accessed 1 March 2018). VanderHill, Warren C. Settling the Great Lakes Frontier: Immigration To Michigan, 1837-1924. Lansing, Michigan: Michigan Historical Commission, 1970. 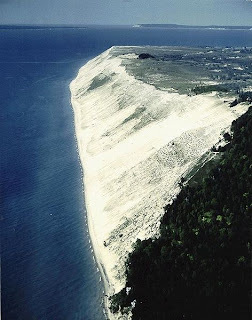 Pure Michigan Genealogy is a series of posts on researching in Michigan. The End concludes the series on Michigan Genealogy. See below for the full list of posts. Do you still need to find more information about your Michigan ancestors? There are a few more resources that will help you with your research. Ancestry.com-a number of city directories for Michigan are available here. You may be able to access ancestry at your local library, otherwise it is a paid site. Michigan Online Historical Directories-clicking on a county takes one to a list of city directories available online. Not all counties are searchable. There is a mix of free and paid websites. Bentley Historical Library- Check Mirlyn catalog for a listing of the cities available at this library. Public libraries, historical or genealogical societies-check with these in the area you are researching. Many of these institutions have their local directories in their collection. I can do Battle Creek, Michigan look-ups for you. Correctional Facilities, Circular No 3. This circular contains information on the three main prisons in Michigan: Jackson, Ionia, and Marquette. Pardons, Paroles, Warrants and Extraditions, Circular No. 48-is a table of what the Archives has available as well as the record group, a short description, and the date. Youths, Records Relating To, Circular No. 8- this group of records has restricted access. Contact information for further information is provided on the circular. Federal Bureau of Prisons-a United States database of federal prison inmates since 1982. Michigan Department of Corrections-a database for individuals who are or were under the management of the Department of Corrections. This database is for Michigan Prisons only, not city or county jails. If an individual has been released or paroled and is off supervision for more than three years, he/she will not be in the database. Skeletons in Michigan's Closets-a few early Prison Records. Arcadia Publishing Images of America and Postcard Series Books- You can search by state, "Michigan", you will find over 300 titles on Michigan. These books have historical images and facts about various areas in Michigan. I was never so excited as when I was looking at the Marquette book and saw a picture of my grandmother. I had to buy it! Anytime I am in an area that my ancestors lived, I go to a bookstore and see which Images of America books they have. I even have a board on Pinterest titled, My Images of America Ancestry. Genealogy, Inc.-First, be sure you are researching in the right county. Michigan has 83 counties and county boundaries have changed over time. Check the History and Facts of Michigan Counties for a table of all the counties and what their parent county was. Clicking on each county will take you to a genealogy page for that county. Check the Michigan Maps of US website for a maps from 1790-1930. This is an excellent website for Michigan, and other states, Genealogy. Michigan County Histories and Atlases-over 400 digitized works are available here. Most of the works were published before 1923. Click on browse to get an alphabetical listing of what is available or search by keyword on the home page. I have found this resource useful in learning about the early history of the counties I am researching. I even found a biographical sketch of an ancestor. Washtenaw County Historical Society-a listing of online county history resources for Washtenaw County and cities. Google Books-search google books to see if a digitized copy of your county history is online. I know that History of Kent County, Michigan and History of Washtenaw County, Michigan are available in full, for free. There are other counties available through google books. 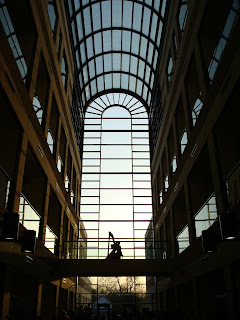 Library of Michigan-you will find the state's largest collection of newspapers here. Newspapers span over 200 years and are available for all counties in Michigan. If you live in Michigan, you can request the microfilm through inter-library loan system. Out of state libraries may request copies of the newspaper with a complete citation. Newspaper Family Histories-scroll down on website page to see if a newspaper was published for the city or town you are researching. The titles, publishing dates and newspaper history is included by city name. Local Libraries-I cannot stress enough about using the local library in the location you are researching. Check the local library online card catalog, or email them for information. I know my local library, Helen Warner Branch of Willard Library, in Battle Creek, Michigan will do newspaper look ups if you ask nicely. Michigan Online Historical Newspapers- a listing of free and paid newspaper sites for Michigan. NUCMC-national and international databases that catalogs manuscripts. WorldCat-the world's largest collection of libraries, it has more than books and manuscripts. Archive Grid-this website provides detailed archival collection descriptions, over two million descriptions. A list of archives, by state, can be found here too. Burton Historical Collection-Sprenger's Guide to the Manuscripts in the Burton Historical Collection Detroit Public Library is available in book form. Check World Cat for a library close to you that hold a copy.. Check colleges and universities in your area of research for manuscript collections. Family Trails-a no longer in print publication of the State Department of Education. Copies available at Library of Michigan and Grand Rapids Public Library. Although dated it has articles that will help you in your research. Michigan Heritage-a no longer in print publication of the Kalamazoo Valley Genealogical Society, available at Library of Michigan and Family History Library. Generations-my local society, Calhoun County Genealogical Society, has an online every name index for their publication, "Generations". Previous issues-Michigan residents can access issues dating back to 1998 through the Michigan Electronic Library (MeL) system. On the MeL site, select MeL databases, then General Reference Center Gold. At the reference site, select "Publication Search" and enter "Michigan History Magazine". Google Books-1917-1922 full issues available by search Michigan History Magazine. Index to Michigan Research in Genealogical Periodicals by Maud Quigley, is available online thanks to the Western Michigan Genealogical Society. PERSI-Periodical Source Index is a subject index to genealogical and family history periodicals. It is available, free, through Find My Past/Persi. For more information on PERSI, check out the Family Search Wiki on it. Annuals at Dead Fred-a few Michigan ones can be found here. Michigan GenWeb-several counties in Michigan have school records on here. A two volume set with over 100,000 surnames of Michigan ancestors. Not all names lived in Michigan, they just were ancestors of Michigan. Available at Family History Library, Library of Michigan and Amazon. There are so many websites that can help you with your research, I am not sure where to begin. I have selected a few to help you with your research. The above resources are ones that I have found helpful in my research, it is by no means conclusive. There are many great resources available for your Michigan research. Do you have a Michigan resource I haven't mentioned? Please share it with a comment. I hope you have success with your research. There are numerous places in Michigan to help with your research. Whether it is at the Archives of Michigan, or one of the many public libraries in the state, your research will be helped by the resources available here. SeekingMichigan.org-a wonderful Michigan research website. One can find death records, civil war manuscripts and records, state census, early records, oral histories, and more. New content is added periodically, so keep checking. Archives of Michigan-the genealogy collection is known as the Abrams Collection, which use to be at the Library of Michigan, is now housed at the Archives. The Archives of Michigan is the repository of many records beneficial to genealogists. Researchers need a photo ID in order to research here. There are many online guides available to help with the record collections found at the Archives. Library of Michigan-the Library of Michigan holds the newspaper collection and law library. Use the Answer Catalog to search for resources. If an item is held at the Archives, it will tell you that in your search. Note: Please check the website for hours and location. The Archives and the Library have different operating hours. 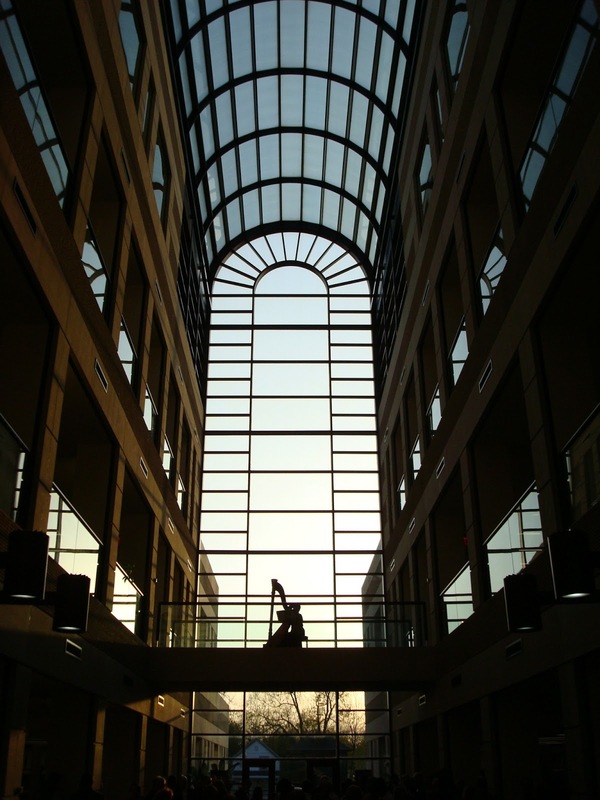 They are both located in the Michigan Library and Historical Center, Lansing, Michigan. Bentley Historical Library at University of Michigan, Ann Arbor, Michigan-the Michigan Historical Collection has manuscripts, maps, and resource for all of Michigan counties. Burton Historical Collection at Detroit Public Library, Detroit, Michigan-resource for the City of Detroit and more. Clarke Historical Library at Central Michigan University, Mt. Pleasant, Michigan-this closed stacks library holds resources for northern half of Lower Peninsula. Some American Indians references can be found here. Michigan Technological University Archives and Copper Country Historical Collection, Houghton, Michigan-Michigan's Upper Peninsula records can be found here especially for Keewenaw Peninsula. Mining records, local history and more is here. Central Upper Peninsula and Northern Michigan University Archives, Marquette, Michigan-repository for central upper peninsula records. Zhang Legacy Collection Center, Archives and Regional History, Western Michigan University, Kalamazoo, Michigan-southwest lower peninsula counties repository, yearbooks, land records and more can be found. Escanaba Public Library, Escanaba, Michigan-this library is the repository for the Delta County Genealogical Society Collection. Grand Rapids Public Library, Grand Rapids, Michigan-newspapers, census, card file, and much more is here. Grand Rapids, Kent County and other West Michigan counties is the main focus of their collection. Van Raalte Institute, Hope College, Holland, Michigan-Dutch and Dutch American resources and history are available. Heritage Collection of the Joint Archives, Hope College, Holland, Michigan-Hope College, Seminary, Church records and more. Hoyt Library, Saginaw, Michigan-Resources pertaining to the Saginaw area. Mount Clemens Public Library, Mount Clemens, Michigan-Macomb County resources and digital archive collection are a couple of their highlights. Oakland County Pioneer and Historical Society, Pontiac, Michigan-obituaries, photos, directories and more for Oakland county and surrounding areas. Interactive Library Directory-a search engine that has all the libraries in Michigan on it. You can narrow your search by county. Check here for contact information for local libraries in your area of research. Many libraries have local history resources. Once you find a library in your area, google the library and check out their website. They might have online resources. Michigan Genealogical Council-check their list of member organizations which include historical and genealogical societies. There are many great local genealogical societies, too numerous to list, so be sure to check this resource. The Michigan Genealogical Council Newsletter is available online and has a wealth of information in it from around the state. Michigan Historical Society-promotes Michigan History, check out their publications. 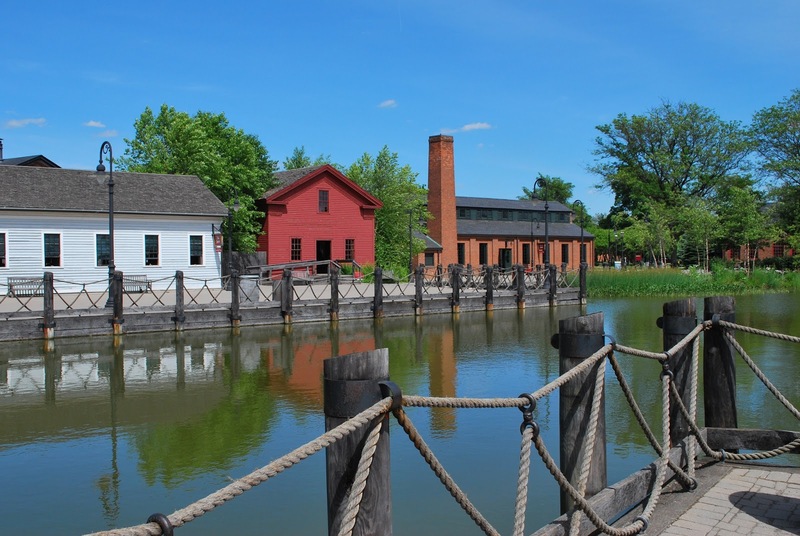 Historical Museum Guide-list of historical museums in Michigan. These are a few of the resources available for researching in Michigan, if you have any questions, please feel free to contact me, or leave a comment. There is no one source or repository for church records in Michigan. Most church records are held by the church, their archives, or sometimes the parish minister or priest. Occasionally, one will find church records in their local library, or a historical or genealogical society. Once I found a list of the founders of a church in a local history, so don't forget to check those out. Local histories are a good resource to find what churches were established at that time. Check Google Books or Hathi Trust for local histories. If you are really lucky you may find a published church history of your ancestors' church. A Roman Catholic mission was in Sault Saint Marie in 1668. St. Anne's was founded in 1701 in Detroit. The first Protestant Church was Moravian, in Mount Clemens. They were worshiping during the Revolutionary War. Congregationalists, Presbyterians, Episcopalians, Baptists, and Lutherans soon followed. By 1865, the Methodist Church was the largest Protestant denomination in Michigan. Michigan Historical Collections, Bentley Historical Library, University of Michigan, Ann Arbor-a large collection of religious records are held here. Burton Historical Collection, Detroit Public Library, Detroit-many early Detroit church records. Additionally, Catholic Mission Records, 1720-1772 are here. A map of Detroit Catholic churches is available as well. Bentley Historical Library at the University of Michigan has vertical files finding aids for 48 Michigan religions. WPA's Michigan Historical Records Survey Inventory of the Church Archives of Michigan-a series of records published and available at Family Search and Bentley Historical Library. Western Michigan Genealogical Society Church Records Collection at the Grand Rapids Public Library. Family Search Michigan Church Records Wiki is a resource too. Heritage Hall, Calvin College for Christian Reformed Church records. Michigan Territory once had a reputation as "good for Indians and disease and not much else." Men who served in the Michigan Territory during the War of 1812 sent word back home about the dismal area of the territory. Surveyor General Edward Tiffin reported after an 1817 survey "no tillable acre in the whole territory, worthless soil, all they did find were bogs, swamps, mosquitoes, dangerous animals and savage Indians." If this was the case how did Michigan ever become a state? We have Lewis Cass, Territorial Governor and Henry Schoolcraft, explorer, to thank for new surveys showing that the territory was habitable. Cass wrote to the general government saying that the lands of Michigan had been grossly misrepresented. New surveys were ordered. A sixty-five person team surveyed the area starting in May 1820, with Henry Schoolcraft in tow. They found the wilderness very habitable. Something else was happening during this time. Robert Fulton discovered that steamboats could travel up the Hudson River from New York to Albany. Steamboat travel combined with the opening of the Erie Canal in 1825 allowed an all water route from the Atlantic Ocean to Michigan. This allowed western migration to move from the Ohio Valley to the Great Lakes. Lastly, John Farmer, an early surveyor from New York, sold a map and a gazetteer, "Farmer's Guide to Michigan". The new survey results, the Erie Canal opening and Farmer's map and gazetteer reached those living in the east and new settlements were on the horizon. Source: ”A Letter to Shoreham,” Vermont Quarterly, July 1955, page 329. From a letter written by Orlo H. Fenn, Dexter, Michigan Territory, to his parents, Daniel Fenn and Huldah Rowley Fenn, in Shoreham, Vermont, 1 July 1832. Orlo Fenn wasn't the only "Yankee" who migrated to Michigan during this time. The population of the Michigan Territory in 1805 was about 4000, most of which lived in the Detroit, Frenchtown, Mackinaw and Detroit River vicinity. By 1830 the population rose to 31630, many from the New England area. The Yankee migration began around Plymouth, Massachusetts and continued to other points in Massachusetts. Next, migration to Connecticut via the Connecticut Trail, then to Western Massachusetts, Vermont, and New Hampshire using the Connecticut River. Many migrated to New York and Pennsylvania and the Northwest Territory. Yankees left in hopes of finding better land. Lands in the east were being used up and if a family had too many sons, there wasn't enough land to inherit. Once land became available in the Northwest Territory many moved. First to Ohio, then Indiana and Illinois and eventually Michigan. Yea, Yea, Yea, in Michigania. Michigan would be a different place without the Yankee influence. Yankees were involved in the law making and governing of Michigan. The first fourteen governors were from the East . Michigan's First Constitutional Convention was 70% New Yorkers. Michigan patterned many laws after New England states. Punishments were taken from Vermont; Probate from Massachusetts; Real Estate laws from New York; and Townships from New England. Just about every facet of Michigan growth can be contributed to the Yankee Migration, including education, religion, judiciary, business and more. Today's Michiganders would never believe that Michigan was once described as inhabitable. Michigan is home to beautiful, sandy beaches, fresh water in rivers and streams, in addition to the four Great Lakes we border. It has fertile land and lush forests. The growth of Michigan from Yankee migration is one I am happy to call my own story. I am glad my Fenn family traveled from Vermont and settled in my home state. Yea! Yea! Yea! in Michigania.